Dave Whitley and Son’s Bucket List fulfilled! 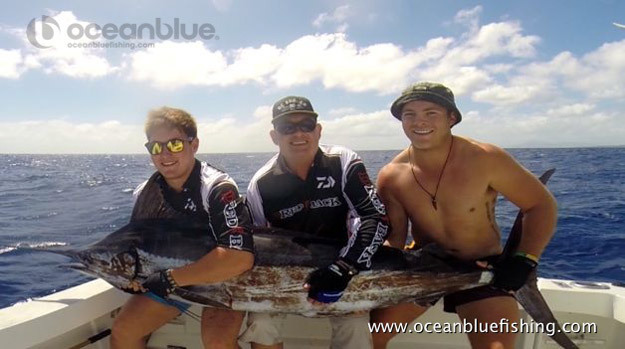 David Whitley & son’s (Dan & Joe) recently joined us on their yearly fishing adventure. 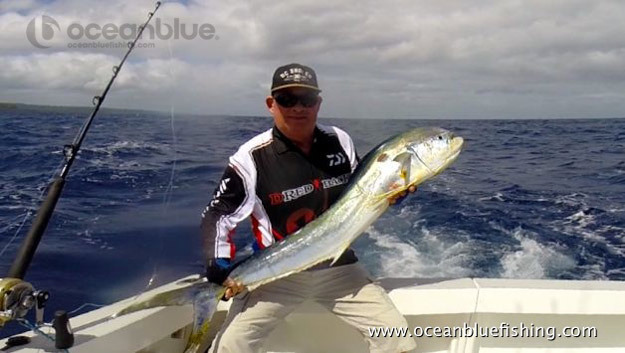 Marlin, Yellowfin and wahoo were on their bucket lists. 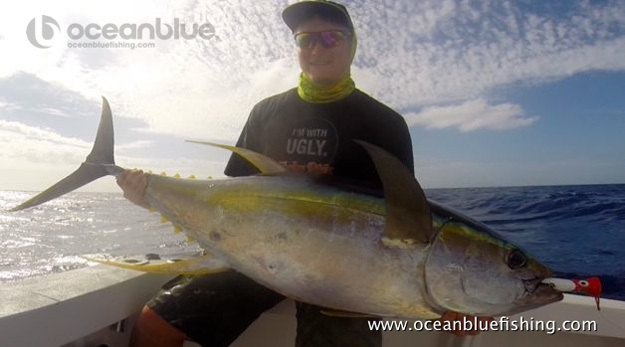 David landed his first ever Blue Marlin estimated at around 70kg. 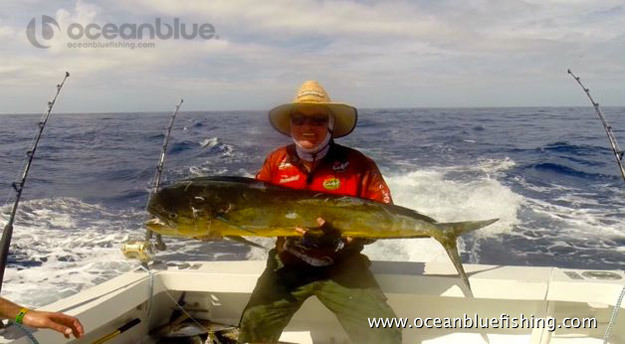 Dan landed his first Wahoo and plenty of healthy Mahi Mahi and Joe managed a great Yellowfin weighing in at 42kg, stoked, as his previous best was 20kg. 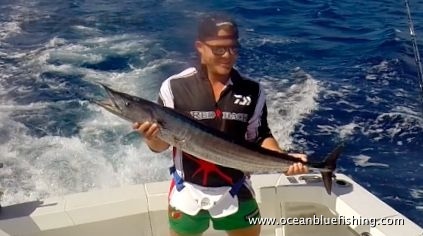 Congratulations to Joe for getting the “Man of the Match” for landing the biggest fish and scored $100 each from his father (David) and older brother Dan. “Trees and Fishes, well what can you say, we were waited on hand and foot I had my own personal barkeeps probably as I was the only one drinking, Jeanine and her crew gave us the best hearty breakfasts, ( my 2 boys can eat and she filled them up every morning ), lunches were different but tasty with some differnt tasting delicasises each day ( no one complained ), and dinners which were getting into the 4 course bracket were divine, I’m to old to eat that much food so the boys usually helped me out to make things look good and not upset Jeanine. Believe me, Jeanine did the works for the boys food wise, I love my garlic mash and asked her to cook it for me early in the trip, she said “ try my mash “ I did I’m hooked and I need the recipie for the lumpy, tasty mash that has local things in it that I dont know what they were but tasted Fab, even had it for brekky one morning as she had some left over form the night B4”. “Top Time, hope to see you next year”.